I thought I’d lost, or at least seriously misplaced, my Sample Sale Mojo. Now anyone who knew me back in the days when I was practicing law, knew that I knew how to find out about the most selective sample sales. Not only did I find out about them, I knew exactly how early to arrive for a choice spot on line to be one of first in the door! I knew when new merchandise was going to be put out, I mean RackedNY had nothing on me. Ask my friend Adrienne, she still remembers the Jimmy Choo sale we went to years ago where we pretended to be magazine editors and shopped to our hearts’ contents the day before the sale opened to the masses. Well, one of my alltime favorite designers started doing sample sales last year. I’ve been out of town for the past two sales, but when I got the notice about their Summer sale I noted it in my calendar. I got up at 6:53 on the appointed morning (I am NOT a morning person, but my husband can attest to the fact that I will get up at the crack of dawn and function normally for a sample sale). No, I did not leave my house then. Mistake No. 1. I got dressed, checked my email, ate a little something and then I left at 7:30 to be online by 8 am. Imagine my surprise when I arrived at the sale and the line was literally, I KID YOU NOT, a full city East-West block and half of a city North-South block. Shocked does not fully capture my emotional state. I was in disbelief. Really? For a sample sale? The people at the front of the line (let’s say the first 100) must have arrived around 4:30 am. As I walked towards the end of the line and passed the sea of people who would be waiting in front of me I couldn’t get over how young they all looked. I arrived at the end of the line – yes, my spot was around the corner in the middle of the North-South block. I stood there for 5 minutes and then walked right past the horde I’d just passed and got myself back on the subway to go home. As I walked back by these youngsters anxiously waiting to spend their hard earned dollars on half-priced merchandise, it dawned on me that I am truly Une Femme d’Un Certain Age. My husband was shocked that I was back so quickly; he hadn’t even left to go to the office yet. I sat down at the computer to start my day and then I got a text from Adrienne (aforementioned Jimmy Choo sale partner-in-crime). She works near where the sale was being held. I’d sent her a text telling her that I was leaving because the line was too long. Her text said that the line wasn’t long at all. Seemed odd to me, but she too is [ahem, was] a Sample Sale Maven. So, an hour and a half later, I got back on the train to get on line yet again. Mistake No. 2. I don’t know what line Adrienne saw, but the people who had been directly in front of me when I stood in line were still in line and still had at least a 2 hour wait. I just kept on walking this time. Now, I know this seems a little crazy . . . But, you have to understand I LOVE this designer and while I’ve been fortunate enough to own a few of his pieces at full price, the idea of things being a fraction of that cost was totally alluring to me. Not enough to stand in a line for hours in the rain mind you. So, I did what any self respecting former Sample Sale Maven would do in a situation like this. I waited until the sale was no longer front and center on all the blogs and daily magazines. I waited until folks had moved on to the next best thing. And then, I went. No line, no craziness on the selling floor, friendly shoppers in the dressing room and yes, GREAT prices. Was it worth it? Definitely. Will I venture out again for another sale? Not likely. Once was enough. 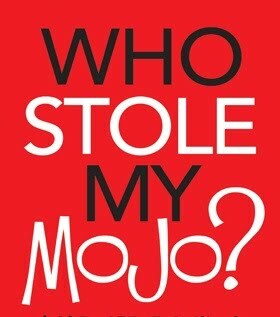 But, I got my mojo back.